More and more physicians are employees; not employers. 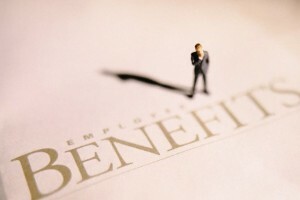 So, here are the most common types of tax-free benefits provided to employees. They include payments for health care insurance, payment to a fund that provides accident and health benefit directly to the employee, company direct reimbursements for employee medical expenses and contributions to an Archer MSA (medical savings account). Health benefits are exempt from income, FICA and FUTA (Federal Unemployment Tax). This saves the employer 7.65% that would otherwise be the “matching” 6.2% Social Security tax and the 1.45% Medicare Tax components due if these were true wages. The employer also saves the 0.8% FUTA tax, but since FUTA taxes only the first $7,000 of calendar year wages, per employee, this usually doesn’t factor in. The hospital employee saves federal income taxes on health benefits received, at their marginal tax rate, and, their components of FICA taxes. Depending on the coverage provided, these plans, when fully funded by the employer, can save the employee thousands of dollars in taxes each year. Certain payments to S Corporation employees who are 2% shareholders are subject to FICA taxes. Certain long term care benefits. Certain payments for highly compensated employees. Example 1: Let’s say the annual cost of providing medical coverage for an employee, age 50, with a spouse and two minor children is $7,500. An employee in the 30% tax bracket who received this amount in cash each year and then paid for his or her own medical coverage would be liable for as much as $2,250 in income taxes. In addition, FICA taxes save another 7.65% or $574, for a total savings to the employee of $2,824. The employer saves $574 in FICA taxes. If you’re thinking of adopting a child in 2014-15, you should know about the tax credit. In 2014, the maximum credit for adopting a child with special needs is $12,970. The special needs adoption credit, which typically applies to harder-to-place children, including children in foster care, can be claimed regardless of your actual adoption expenses. The maximum credit for other adoptions is your qualified adoption expenses (including attorney’s fees, agency fees, travel fees, etc.) up to $12,970. The adoption credit, as of 2013, is not refundable. It’ll reduce your tax liability, but you won’t get a check in the mail for any leftover credits. Also, this credit begins to phase out with a modified adjusted gross income of $194,580.